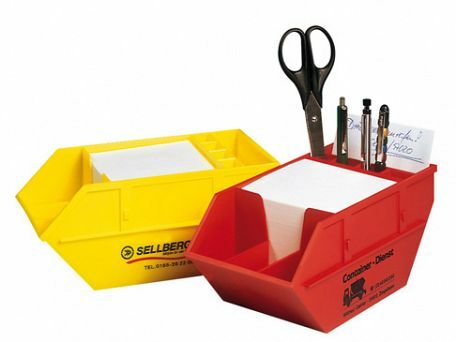 Unique range of skip shaped memo holders make for great promotional giveaways as they provide plenty of storage opportunities for various desktop knickknacks. Each memo holder is supplied with a block of quality memo writing paper. These wonderful memo holders are a great way to get your message noticed.